After the relative success of the wide-body A-300 and -310, Airbus Industrie turned in 1984 to a new design for a narrow-body short-to medium range airliner to replace the first-generation jetliners which were then nearing retirement. The A-320 and its derivatives were just what Airbus needed to cement its place in the global airline markets. In continuous production since 1988, the A-320 family of airliners has also been under continuous development, and is set to remain in production for years to come. It is one of the few aircraft in history which will be used to replace itself; the new -NEO versions will enter service by replacing earlier models reaching the end of their service lives. The A-320 owes much of its success to its ability to be stretched or shrunk, allowing for aircraft as small as the 132 passenger A-318 to the 220 passenger A-321 using the same basic fuselage and wing structures. Because they have identical cockpit layouts, pilots qualify to fly all variants of the A-320 regardless which type they train on. The kit comes packed in a very sturdy cardboard box with a flip-top lid inside a flimsy end-opening box. The review sample had experienced a very rough journey from Russia, yet the plastic parts inside the rather battered box were completely undamaged. The mouldings are crisp and clean, with very little flash and no sink marks. The fine scribed panel lines are out of scale for 1/144 but will still look good under a coat of paint. The panel lines match up very nicely. The plastic has a slightly satin texture which can be polished out, but which will disappear under the primer paint. It is noticeably smoother than previous Zvezda kits. This kit includes Zvezda's now-traditional large stand. The model will look a trifle out of place sitting on it. The fuselage is two halves from nose to tail. The cabin windows are open, with clear parts provided for them. Some people feel that the windows are slightly too large. If that's important to you, it is possible to mask the windows and paint the too-large portion to match the fuselage. There are blanking pieces for the first window on each side. Take care not to use these if your chosen scheme has those windows open (clear substitutes are provided on the clear sprue if your subject has open windows in those positions). The cockpit windows are moulded with a portion of the fuselage roof to allow for filling and sanding which does not into intrude into the windscreen. The panel lines are nicely engraved and match up well. The APU exhaust is a separate part with a very shallow indentation. It can be improved by drilling out and inserting a section of blanked-off styrene tube. There is an extremely tiny tail navigation light to glue in place above the APU exhaust. If the windows are left clear, the interior should be painted black to prevent the model from looking toy-like. There is a complete cockpit plus an entry vestibule which will be visible if the door is positioned open. The nose gear well/cockpit assembly must be inserted before the fuselage is closed. There is no mention of the need for nose weight. It may be that the cockpit parts are sufficient to keep the model sitting on its nose gear, but I don't know whether I'd take a chance on that. There is sufficient room behind the nose gear well for a substantial amount of weight. The wings have a one piece lower half comprising a portion of the lower fuselage. Each upper wing is one piece and includes a portion of the lower wing tip beginning just inboard of the ailerons. Take care to make sure there is no step in that area. There are separate parts to allow for raised or lowered flaps and slats. The lowered slats option includes an insert which must be glued to the leading edge before the slats are glued into place. The wingtip navigation lights are extremely small slivers of clear plastic. Gluing them into place may be a bit of a challenge. The tip fences look to be properly proportioned which is an improvement over the Revell kit. The tailplanes are one piece mouldings which attach to the fuselage by two small pegs. They appear to fit well enough that they may be left off until after painting and decalling is complete. There are two types of engine on offer. The more popular CFM-56 is very well executed. It includes an engine core which the fan cowl fits around and a separate intake lip. 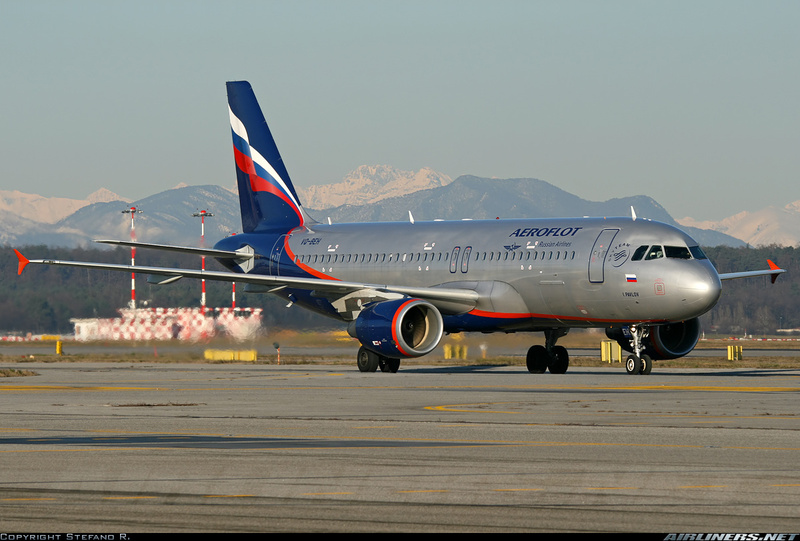 The IAE V2500 engine option is not as well executed (perhaps because Aeroflot does not use it), but it still includes a complete engine core inside the fan cowls. Whichever engine option is chosen, the other can go to feed the spares box. The landing gear struts and wheels are finely moulded and nicely detailed. They could use some brake lines and whatever else the modeller likes, but will look good without it. The wheels themselves are properly thick and the detail moulded into the hubs is very good. There is an option for raised gear, and a very large heavy stand is provided. A third option is extended gear with unweighted oleo struts. This will allow the model to be posed on its stand with lowered flaps as though it is just about to touch down. This is the first time I've seen this option available for an airliner model. As with all 1/144 kits, the gear doors are overly thick and may be replaced if the modeller wishes although Zvezda has made an effort to get the door edges thin and they have nice mounting tabs. 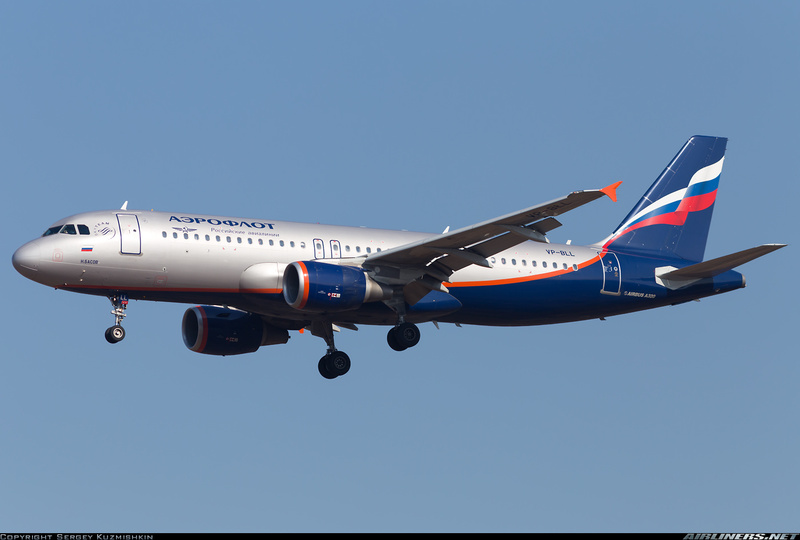 Markings are provided for Aeroflot's current blue and silver scheme. They are fairly comprehensive and offer three different registrations and aircraft names. The curving separation between the blue and silver is tricky to mask accurately and there are no window decals offered for those modellers who like using them so it's lucky that a wide range of aftermarket schemes is available from the usual suspects. The decals are Zvezda's traditional slightly matte finish and may tend to roll up into unusable little balls if sufficient care is not taken when applying them. Float them into position with plenty of water. Highs: Delicate parts with a lot of detail for 1/144 scale. Optional lowered flaps and opened door. Verdict: This kit is another one of Zvezda's beautiful airliners. Its more complicated build lends it to more experienced modellers.